Wishing Well - What Do you Wish for? And by the way, do "like" my page at HERE, so that you could be updated with daily updates. "Be careful of what we wish for." 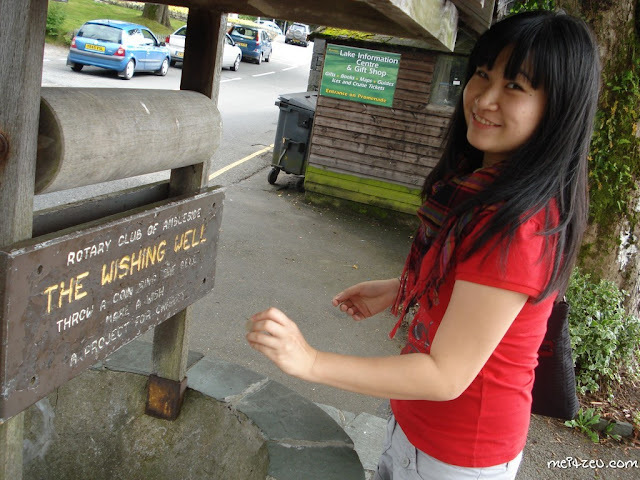 "What Do YOU Wish for When You bump in to "The Wishing Well" any where? Mine... I forgot what did I wish for.. I guess. Back then (as a student), nothing much we could wish for besides, good result, good relationship and good health. So yea~ Short post for the day. Gonna work out for the next post soon! haha :D You are flying every where! Wow! I want to see a real life well too! Haha, I wish to be skinny! haha :D You are skinny ooo!! haha :D Save money and your wish will come true! I was once told by a VERY wise man that good health is the most important thing in life. With that in mind, I wish for good health for myself and others. With the daily tasks that we are always faced with it is easy to forget about the basics that really matter. I feel that with good health there is no limit to what we can dream and achieve. In contrast, without the fundamental happiness and security of good health, so many of life's routines that we may now take for granted would most likely be much more of a struggle. I hope that life brings all of us good health, thereby facilitating happiness! I wish to find a suitable job and travel around the world! Wow. Wishing well ya. I wish I will do well in my investment. Haha.